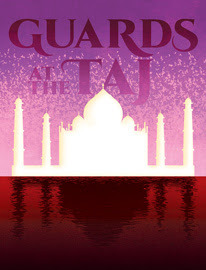 Hailed by the Los Angeles Times, New York Times, Variety and The Hollywood Reporter, Guards at the Taj (now playing at the Geffen Playhouse in Los Angeles) tells the story of two lowly guards handed the brutal task of protecting the Taj Mahal. Comedy and tragedy meet in Rajiv Joesph's violently beautiful new play. Previews begin next week with the West Coast Premiere October 6th.